I was so excited when I first saw this book. The design is stunning and it seemed like it would be a great book for witches or those interested in working with magic. Not to mention, I'd seen many versions of this book with the moon phases going doing the side so I thought... "The moon? Of course I have to buy this!!!" Sadly, this book didn't live up to my expectations. First of all, my copy and every copy I've seen in Barnes and Noble is missing the moon phases on the side of the book. This was a huge reason for me wanting to purchase it so I was very disappointed to not have this included. But hey, don't judge a book by it's cover right? It sucked to not have that little detail but I'd survive as long as the book had something of interest to me. Sadly, it did not. Perhaps I didn't fully understand the description? The book ended up being more of a reference guide which I could've done without. There's a section on herbs (and not a very good one), a section on the sabbats, essential oils, divination, getting rooted and how witches have been burned for centuries. Don't get me wrong, all of this information is valuable but is much more suited to the basic, beginner witch. I've studied all of this for a long time so reading this book was the very definition of preaching to the choir, maybe even preaching to the preacher. With that said, I would recommend this book for a beginner, maybe? 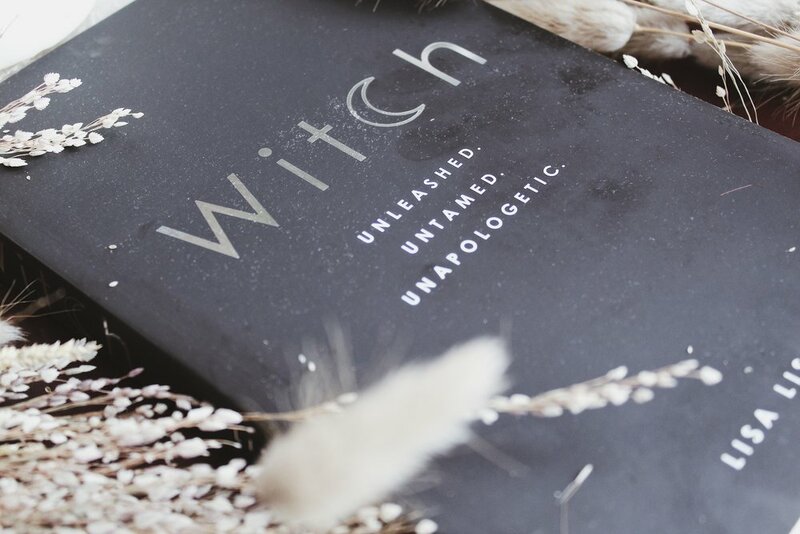 If you're just getting started and can only purchase one book (i'd say buy Skye Alexander's Modern Book of Witchcraft first) I'd suggest buying this book as a second choice, again, maybe? It will get you started but won't keep you going when you're ready to dive deep and start doing some real work. Some other inclusions are the moon phases, information on crystals and a brief look at some of the archetypes of the witch. This review may seem unfair, especially because I know a lot of people like the book but I don't apologize for my review. I was hoping this book would be more of a manifesto to witches especially since the phrase "Wake The Witches" is a key part of the marketing strategy. Instead, it ended up being a handy reference for basic information. There are some parts that are more about the liberation of a witch but not enough for me to be excited but again, this is coming from my perspective of having studied this very information for years. I do encourage you to give it a shot to form your own opinion but if I had the choice to buy it again, I'd skip it. Ultimately, this book ended up being a a basic book written for those who want to be basic witches. if your interest is to truly discover who you are and reclaim your power, let me help you save money by telling you, there is so much better out there for you.